Is your kitty set on destroying your favorite furniture and nothing seems to be able to persuade them otherwise? You are already on your second couch and are trying to come to terms with never having nice leather furniture again. On never having any nice furniture again? 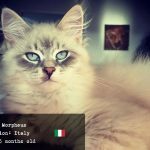 How to teach your Siberian kitten to use a scratch post? 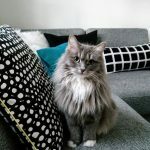 You may have read this post already where I talk about some general advice on how to discourage your cat from scratching your furniture. 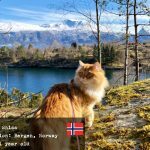 In addition, in this post, I will tell you how you can teach and train your Siberian to use scratch post instead of your couch. 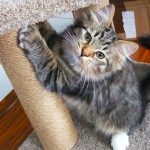 Teaching your new kitty to use a scratch post is one of the main aspects of raising them as a pet that’s comfortable to live with. No matter how lovely they are, if they have some stinky habits, you might come to resent them eventually. Moreover, should you ever need to keep your pet living with someone else for a while, they might be a real inconvenience if they don’t know good manners. Teaching your cat to use the scratching post is pretty much the only way to save your furniture, walls, and doors of your house from its claws. 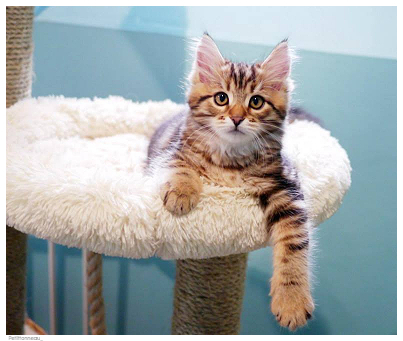 Very often, if you are purchasing your Siberian kitten from a breeder, it will come to your home already well acquainted with the scratch post and will know exactly what to do with it. 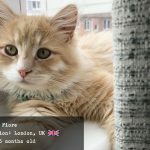 A good, conscientious breeder always cares about their kittens’ well-being, including their good manners, which gives the kitten more chances to have a stable, long-term or forever home. But don’t despair if your kitten doesn’t seem to want to use the scratch post or doesn’t know how to do it. With patience and the right approach, you can still teach them! Start with getting your kitty acquainted with the scratch post. Show it to the kitten. A good idea is to play with the kitten near the scratch post. Take a toy – a stick or a teaser and brush it along the scratch post. Your kitten will get interested and might start clawing the scratch post while trying to get to the toy. They will soon discover that scratching the post feels nice and that it makes noise (which they love) and might go on to actually using the scratch post for scratching. Once they start doing it, encourage your kitten with praise, a pat on the back or a treat. This will help the kitten associate scratching the post (which is nice in itself) with some good positive feedback from you, thus turning it into an even more pleasurable activity. At the same time, don’t forget to let your Siberian kitten know that scratching anything else but the scratch post is forbidden. If you see them try their claws on the carpet, the sofa or chairs, say a loud “NO!”. Don’t be afraid to raise your voice at them. This isn’t “yelling” in a human sense. Your goal is to make the kitten connect undesirable behavior with loud noise which is unpleasant for them. You can yell, or clap your hands, anything to give a little bit of a startling effect. If the kitten is near you, you can also slap them very lightly on their front paws. VERY LIGHTLY! Do not ever hit your cat. Hitting an animal will never make it behave better, nor will you better explain what you want to say by physical power. The only thing you will achieve is scaring your cat. They will lose their trust for you, and start feeling cautious around you. You don’t want that. 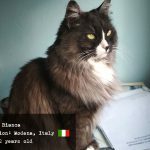 Also, any kind of physical punishment may make your cat display neurotic behaviour, such as marking its territory or increased scratching. You don’t want that to happen. Another thing you can do is get a spray bottle and spray your kitten with water every time they are trying to scratch anything but teh scratch post. Water is very unpleasant for cats and they’ll do anythig to avoid getting wet. 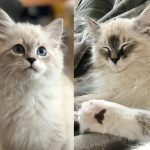 Remember, your kitten, and Siberian kitten especially is very smart. Smart enough to understand that certain behaviours aren’t welcome. They will do their best not to do anything forbidden, if they clearly understand the situation and have an alternative (Scratch post!). If you teach the kitten to use the scratch post from the time they are young, they will learn to leave your sofa and chairs alone. This way your furniture will be safe and you and your kitty will be happy together. 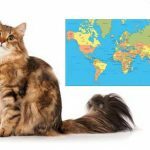 How to teach your adult Siberian cat to use a scratch post? 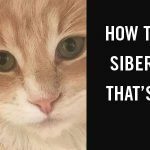 While kittens are fairly easy when it comes to teaching them new habits, it maybe be a bit of a harder task with adult Siberian cats. You will have to somehow explain to your cat that scratching carpets, chairs and sofas are not allowed anymore. 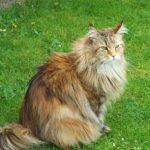 However, it’s far from impossible with such an intelligent breed as Siberian cats! Try approaching it the same way as you would with a kitten and see if your cat goes along with it. If it doesn’t quite work at once, one thing you can try is to offer your cat a scratch post close to the area where he likes to scratch. Watch them and see if they use the post. If not, wait till the cat starts scratching another area, take them and bring them to the scratch post. Encourage them to scratch by placing their paws on the post, or use a toy, just like you would with a kitten. You can also use catnip to make the post attractive for the cat. Another smart way to solve the scratching problem is to use a cat tree instead of a post. A good cat tree will provide a great platform for your cat to entertain itself by climbing up and down, playing with various hanging toys it includes, and very likely, scratching. A lot of surfaces of the cat tree are usually designed to be perfect scratching spots. 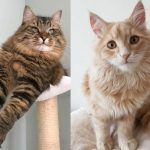 As your cat starts to spend more time on the cat tree, it will very likely also satisfy all of its scratching needs there as well, and voila – your carpet is safe and you don’t have to throw away your leather couch! 1. Choose a tall scratching post. When cats scratch, they love to be able to stretch at the same time. 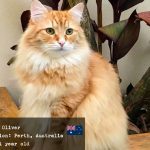 If the post is short and the cat has to hunch down to scratch, it won’t give your cat the pleasure of stretching, and it will find another surface that will. Minimum height of a good scratch post should be 30′ or more! 2. Scratch post needs to be sturdy! Cats do not like flimsy scratch posts. Remember, in nature they use trees to scratch on. Your post needs to be as sturdy for your cat to be able to easily lean on and not topple it over. 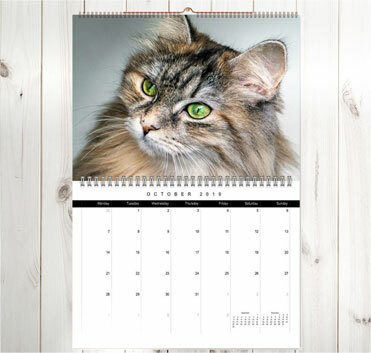 The best scratch post will have horizontal and vertical surfaces for your cat to scratch. 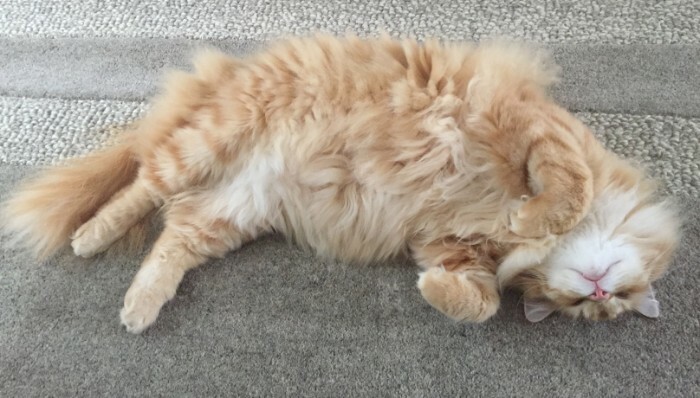 You know how your cat loves to scratch not only your sofa or door but also the carpet? That’s because it uses a different set of muscles to work and stretch while scratching a horizontal surface. Scratching provides a whole scope of pleasant action for the cat, and stretching and using its muscles is a big part of it. A single vertical scratch post might not be enough. If the post has a horizontal platform, your cat might like it and use it much more. 4. Choose scratch posts made out of sisal fabric. It seems to be what cats love more than any other types of surfaces and suit the cat’s needs more than anything else. It’s a heavy-duty, sturdy material that makes a lot of noise when being scratched, and also sheds while being scratched. Both of those things are very pleasurable for cats. Don’t use scratch posts using sisal rope, however. It prevents the cat from being able to scratch without it’s claws getting tangled in the rope surface and pulling on the toes. 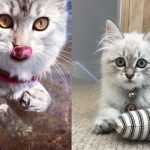 I hope these bits of advice help you train your kitty, whether they are a kitten or an adult cat, to scratch the post and not any other valuable surfaces in your house!